The controversial deadly shooting of a U.S. citizen by a Border Patrol agent in 2011 is headed to a civil trial in Douglas, Ariz. in what will be a closely watched case, the Arizona Daily Star reports. Carlos LaMadris was 19 when he was shot in the back while climbing a ladder back to Mexico. 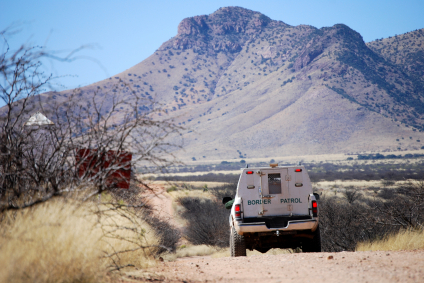 His family said he was peaceful and posed no risks to authorities to provoke Border Patrol Agent Lucas Tidwell. The federal government argues the shooting was justified because the agent was under attack by rocks and he feared for his life. No criminal charges have been filed against LaMadris. Posted: 7/21/15 at 9:48 AM under News Story.